Roland Junck, British Steel's executive chairman, said he was "sad" to be making the announcement. "However, it's vital our transformation continues so we can build a sustainable future for the whole business, nearly 5,000 employees and many more people in the supply chain," he said. "We're confident these proposals will help achieve this." 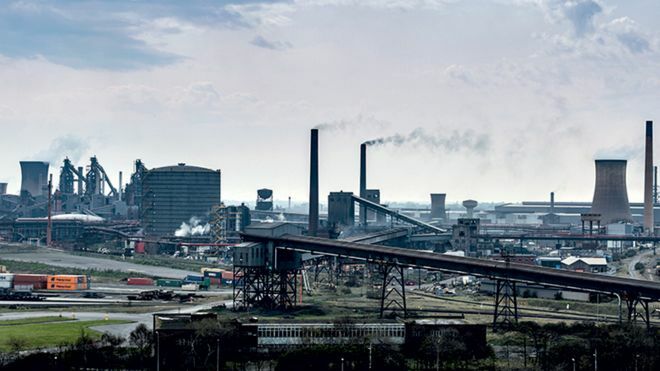 In a statement, the Community union said it recognised the "challenging times for UK steelmakers" and called for government support for the steel industry. "This announcement will come as a body-blow to the workforce who have already made huge sacrifices to make the business sustainable," the union said. "It is particularly disappointing the company has chosen to cut jobs so soon after celebrating a second successful year and first quarter profits of £21m."